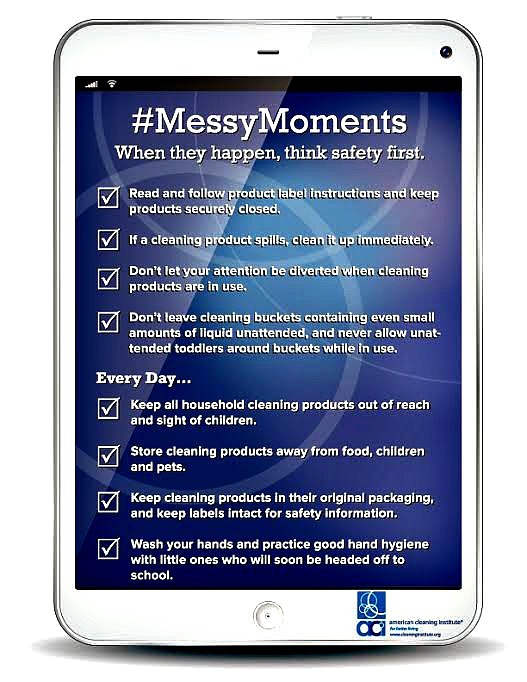 As a parent of a preschooler, you're texting, talking on your cell, cooking, house cleaning - making the most of every moment of the day. Life is hectic with kids under age 5 and daily schedules are full. Yet, as all parents know, these little ones are constantly growing and changing. You might not give that open cleaning product bottle or container a second thought because yesterday, your little girl was just learning to crawl. Today she's taking steps -- and it only takes a single distracted second for an accident to happen now that she's mobile and naturally curious about everything. Whether you have an infant, toddler, or preschooler at home, it's important to remember to keep all cleaning products up and away from curious fingers, regardless of your little one's age. It's a good safety habit to get into. Always read and follow label directions for the proper use, storage, and disposal of your home cleaners. Store household cleaners in an area that is away from food and inaccessible to kids and pets. Store cleaning products in original containers. Product use and storage, disposal instructions, precautions, and first aid instructions vary, according to each product's ingredients. Put household cleaning products away immediately after you finish using them. This will help limit accessibility to young children and help prevent accidental spills. Don't let your attention be diverted when you're house cleaning. If you or the kids come into contact with a potentially toxic cleaning product, call your local poison center at 1-800-222-1222 and have the cleaning label handy. 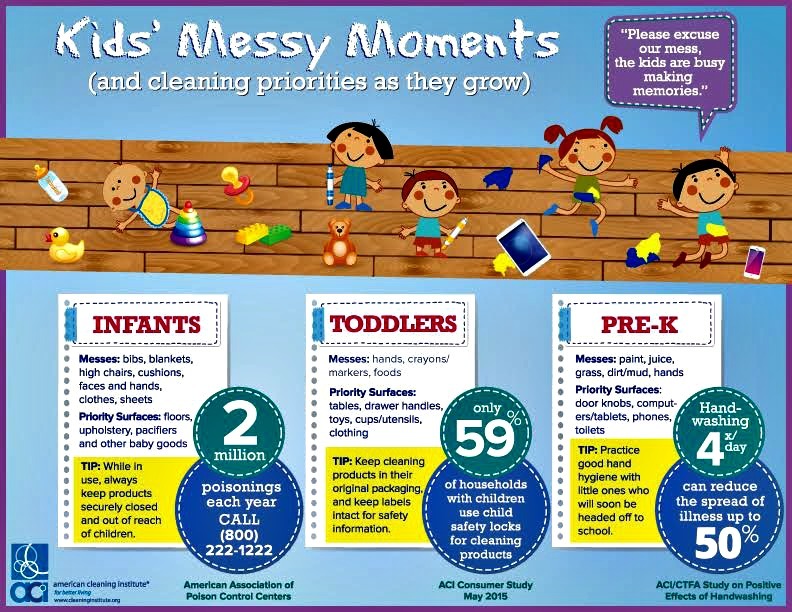 Kids under age 5 grow and change quickly - and so do opportunities for #MessyMoments. In addition to keeping kids safe while cleaning, it's also important to understand how cleaning priorities and practices should change as kids go from crawling, to toddling, to running. Click the image to enlarge and print or share.